Here at Dozier Memorials, LLC, we sell memorials with the highest quality of service and materials available. We have been serving the community for over 37 years. We are licensed, insured, and bonded to install memorials in perpetual care and church cemeteries as well as country cemeteries. Our products include Granite, Bronze, & Marble Memorials, Mausoleums, Caskets, Burial Vaults, & Pre-Need Insurance. Creating a memorial allows you to express respect and love for someone who touched your life. 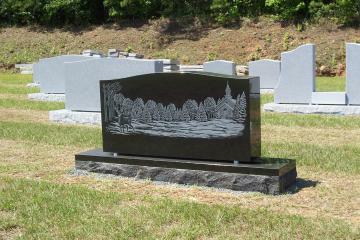 Dozier Memorials, LLC wants to capture the essence of your loved one through our monuments. We offer a wide selection of monuments in various styles and materials so you can find the best one for your loved one. Preserve your loved one's memory in a memorial that will withstand the test of time with our granite memorials. Cast your loved one's memorable moments in a bronze marker that will represent their life here on Earth. Browse our selection of memorials online to find the right one for your loved one!